On the luxury cruise ship Silja Symphony from Sweden to Finland and back. Non-members are also most warmly welcome. The formal registration has now closed but you can still register as participant, exactly as before. We now have to contact the shipping line to ensure that you get a cabin of your preferred choice. You will therefore get also get an e-mail which affirms the details of your registration. the Swedish company Rysseviken AB in close cooperation with the Finnish Vates Foundation. 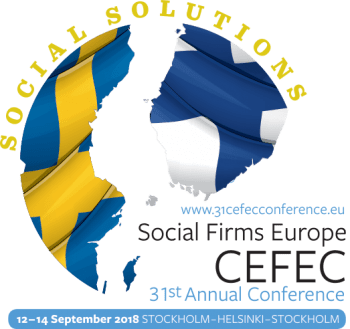 The Social Firms Europe CEFEC 31st Annual Conference is organized by the Swedish company Rysseviken AB in close cooperation with the Finnish Vates Foundation.